As of this morning, my book is now available on Safari Books Online. I find this personally very exciting, as I am an avid Safari subscriber, as you may have noticed from the Safari links in all my prior book related posts! If you’ve never heard of Safari, it’s an online library subscription. You pay a monthly fee and get access to over 10,000 books, all indexed and searchable. There are also iOS and Android applications for reading books, including the ability to take up to 3 books offline at a time. The PlayStation Mobile Development Cookbook was also added to Chapters/Indigo as a Kobo e-book as well as Barnes and Noble in print form. While I was on Safari, looking at the new additions, I noticed another book I’ve had my eye on was released. Developing Mobile Games with Moai ( Amazon Link ), which is the first book dedicated to Moai related development. I have done a Moai tutorial series here on GameFromScratch.com, if you want a closer look at Moai. It’s a very cool technology in desperate need of more documentation, so a book is certainly welcome. I am going to have to take a closer look at this book when time permits. Just published my first book! Introducing the PlayStation Mobile Cookbook. So, some exciting personal news today, I can finally unveil what I've been working on the last several months, my new book PlayStation Mobile Cookbook! A special thanks to my reviewers and supporters at Sony and the entire team at Packt, it was a pleasure working with you all on this book. followed by a detailed description of what's happening as well as various tips and tricks. In this case, its contains over 60 different sample applications illustrating how to do… well, just about everything you want to with the PlayStation Mobile SDK. If you've run through any of my tutorials, you should have a pretty good idea of what to expect. The book is quite literally at the printers right now, I'll post more details once it's available on Amazon, on Safari Books Online or in stores for purchase. It should be in the next couple of days. You can of course order the book on the Packt website. One of the themes of this site has always been to focus on low cost (or free) game development technologies. As a result, you will tend to find content here tends to focus more on products like Blender or Wings instead of 3D Studio Max or Photoshop. I will of course share any game development related news regardless to price tag, but I tended to focus on the tools available to the most people, especially when it comes to tutorials. 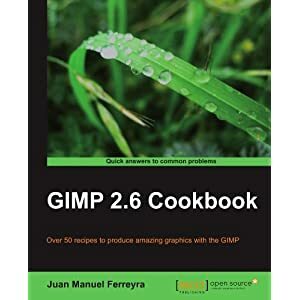 As a result, one product certainly comes to the front of the pack, GIMP. 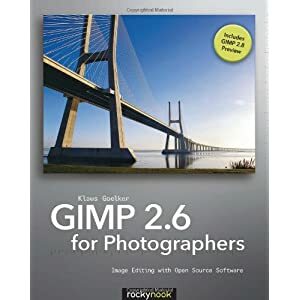 While Paint.NET is nice, the GIMP is really the only affordable (free) product that comes close to feature parity with Photoshop. There are more books of course, but these are the ones released in the last 2 years. Anything much older would be rather out of date at this point. 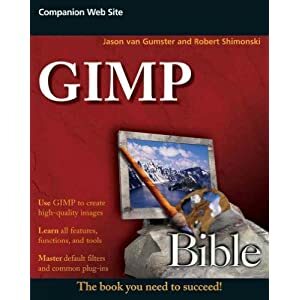 I have to admit, the body of work available for GIMP is vastly improved, as has the GIMP in general. If you haven’t checked it out in a couple years, you really should. The UI is a lot nicer now, although it still has a ways to go.